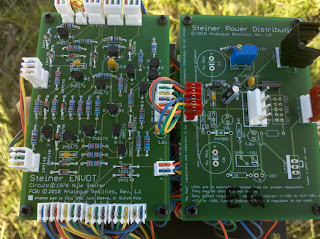 Steiner Synthasystem DIY: Triple Envelope Generator complete! At least I've managed to work on my Synthasystem a bit during this time, including completing the Triple EG. 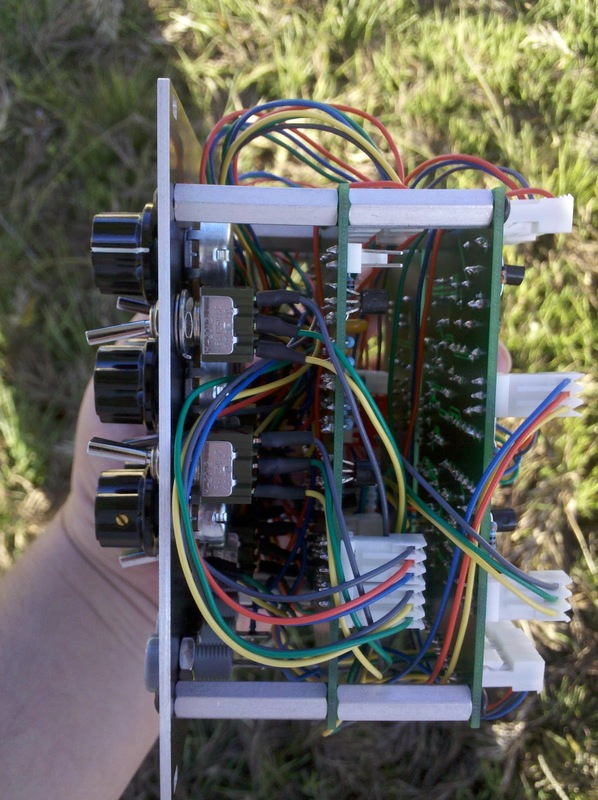 Clearly, there is a ton of wiring on this module! Four PCBs and 28 panel components, of which most are pots and switches. Initially EGs 1 & 3 worked fine, but EG 2 would only produce a gate output (i.e. Attack/Decay had no effect), but after some debugging I figured out that the pad on the 3.9u tantalum cap got lifted or something - I put a quick jumper wire across to fix that; not the prettiest fix, but it certainly works! 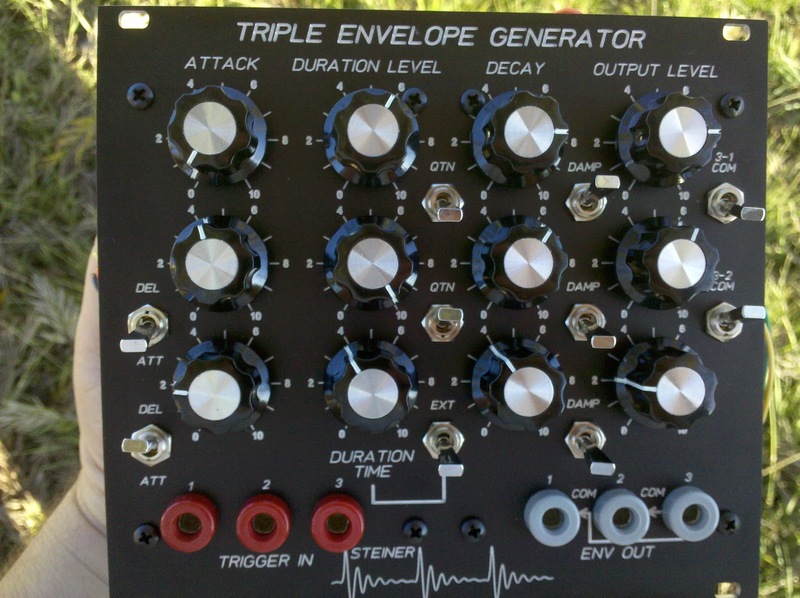 It runs on just the +12V rail, and (as the name suggests) contains 3 envelope generators. The first two are quite similar: something of a cross between an ADSR and an AD/AR envelope, with some interesting modes. The second one also allows the Attack knob to act as a delay. 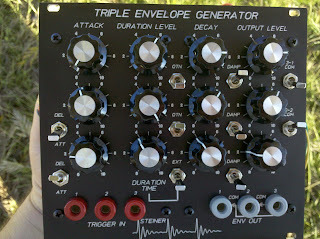 The third EG is more of an AD/AR envelope, with a "hold" time (similar to the Korg MS-10, etc.) that can be used instead of the input trigger's duration. The third envelope can also be summed into either of the first two envelopes. I like the fact that the envelopes are much simpler to control, compared to traditional ADSRs, which I sometimes find to be a bit of a pain to adjust on the fly. I'm hoping that these will fit my needs a lot better (and I think they will). I'm hoping to get everything set up fine in my rack soon... I really just need to make some power cables, and get some screws to install the modules. I hope to make some demos of this (and other modules) soon after!